This was written by admin. Posted on 火曜日, 7月 22, 2014, at 6:40 PM. Filed under Sale, Stat. 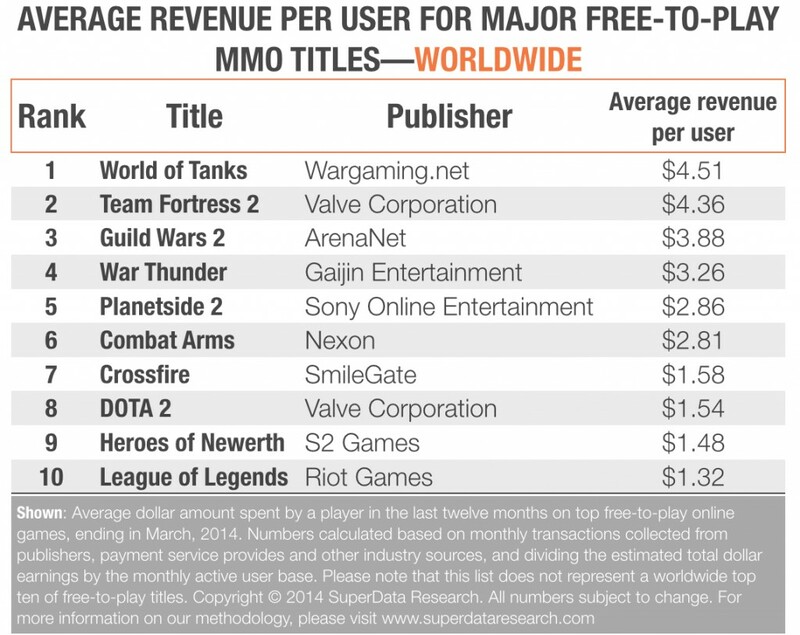 Tagged F2P, free-to-play, GW2, MMO, TF2, WoT, オンラインゲーム, レポート, 基本無料, 課金. Bookmark the permalink. Follow comments here with the RSS feed. Post a comment or leave a trackback.